About 8 years ago, the SketchUp team started receiving some pretty intriguing calls: parents of children on the autism spectrum were calling to let us know how SketchUp was changing their kids’ lives. People with autism tend to be unusually strong visual and spatial thinkers, and it became clear that SketchUp plays to those strengths. With that bit of information (and help from the Autism Society of Boulder County), we launched Project Spectrum with a single goal: connecting the autism community with SketchUp. For some children on the spectrum, especially those who are nonverbal, SketchUp serves as a way to communicate allowing them to share their thoughts through images. Other kids learn life skills that help them to achieve educational and career goals they might not have even aspired to before SketchUp. It seems SketchUp builds self-esteem since these children are able to model circles (and squares) around their neurotypical peers. 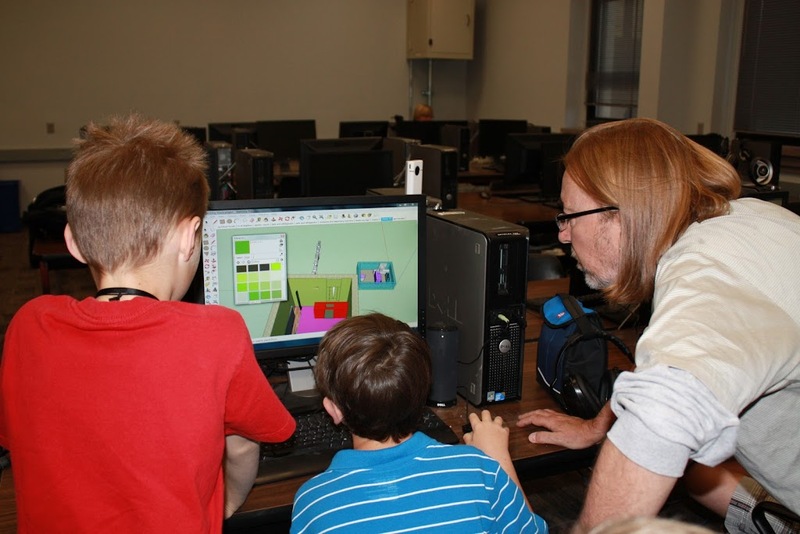 Certified SketchUp instructor Steve Gross teaches two children how to use the SketchUp at an iSTAR camp. It was these anecdotes that inspired Cheryl Wright, Associate Professor in Family & Consumer Studies, at the University of Utah, to study the SketchUp/autism connection in detail. Cheryl and her team have hosted several SketchUp camps, called project iSTAR, for dozens of children with autism. This, of course, is only a taste of the study’s findings, and we encourage you to read the team’s article to learn more. Lastly, we’d like to thank the University of Utah for helping us, and the world, understand how we can better prepare children on the autism spectrum for success. We look forward to continuing to forge new learnings that will enable us to touch more lives.